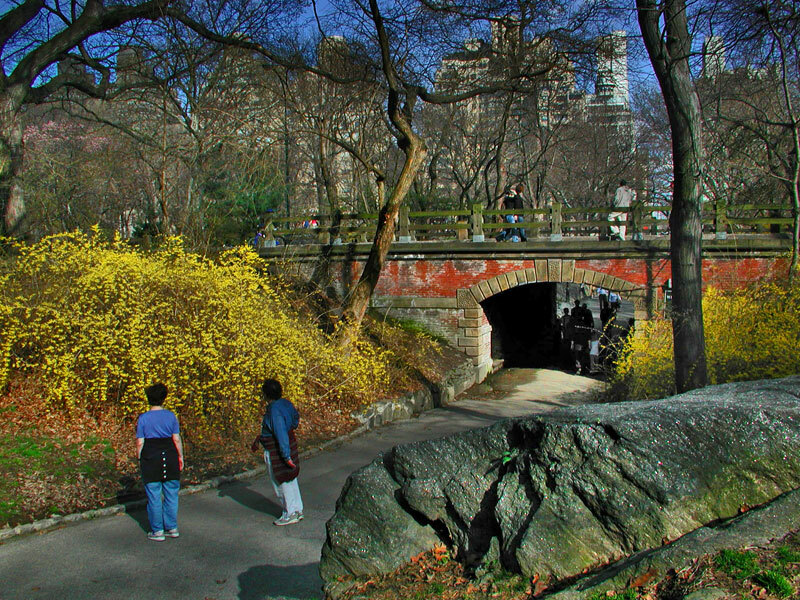 Miami In Focus Photo Gallery of the Willowdell Arch E67 in Central Park. Height - 9 feet 10 inches. 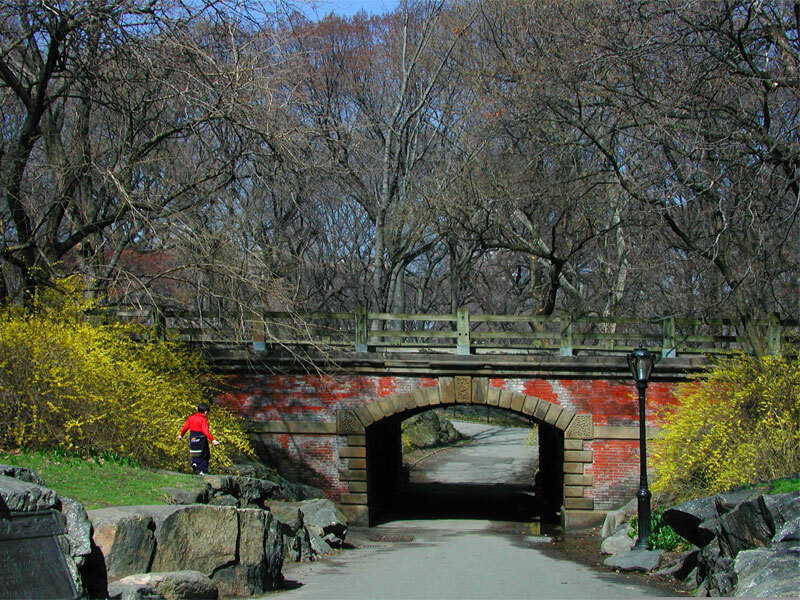 Special Features: Rustic voussoirs (wedge-shaped stones) are vermiculated (indented) providing the space between the spring block (support) and the arch a unique worn appearance. Passageway: Has bench seating in wall arcades and a center niche on the north side once contained a fountain. Railing: Above the sandstone coping at the top of the arch, the original ornamental cast-iron railing has been replaced with wooden parkway guardrails. 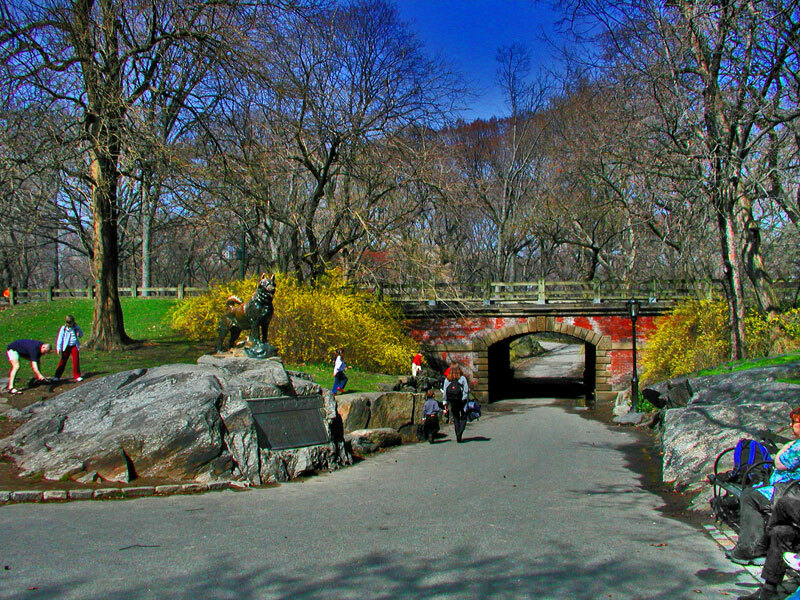 Although the statue of Balto, the Alaskan sled dog dominates the attention of all who pass by, it is important to take notice of the nearby Willowdell Arch. Directly behind Balto on its eastern portal, the Willowdell Arch has some outstanding stylistic details to catch your eye.